Thank you for coming across and having a read of my blog post. Can you believe it's Monday again, where's the weeks and months going? Half way through May. The Suns starting or should I say trying to coming all out all over the country. We have had some lovely days but lately the Suns been coming out about tea time, great eh? 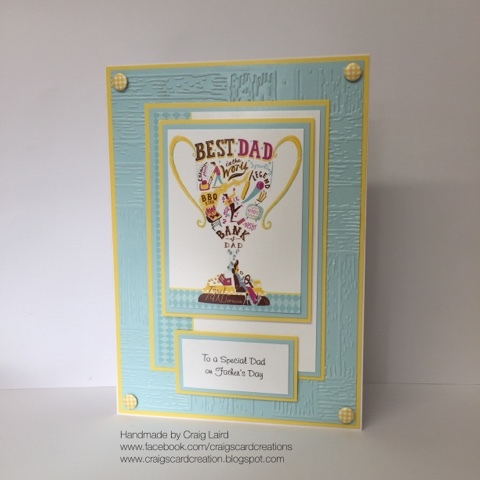 So this weekend, celebrating GBCF and Fathers Day both being in June (Fathers Day being 19th) I thought I'd write up a tutorial blog post of a large A4 Fathers Day card using Hunkydorys January Collection - "Heartfelt Occasions Luxury Card Collection" I have combined it with the Spring Edition of the 100 sheets of Adorable Scorable colour card stock and the 50 shades of Mirri card. 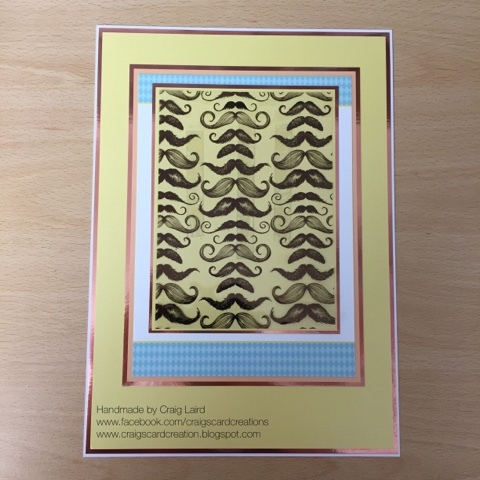 althoufh its a large A4 card, I have tried to keep it simple so if you are a new crafter or new to Hunkydory then you would be able to create this card. If you don't have the same products as me, you can use what you have in your own stash. It's your card, make it how you want it. There is no right or wrongs. If your happy then the recipient will be more than happy. Copper Mirri - 50 shades of Mirri limited edition collection. 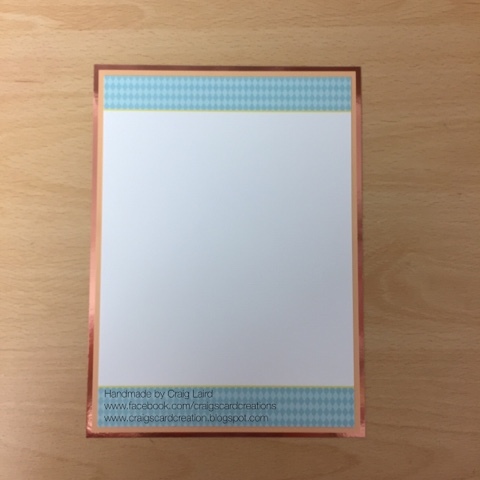 2 sheets of "ink me" card stock to create card blank. 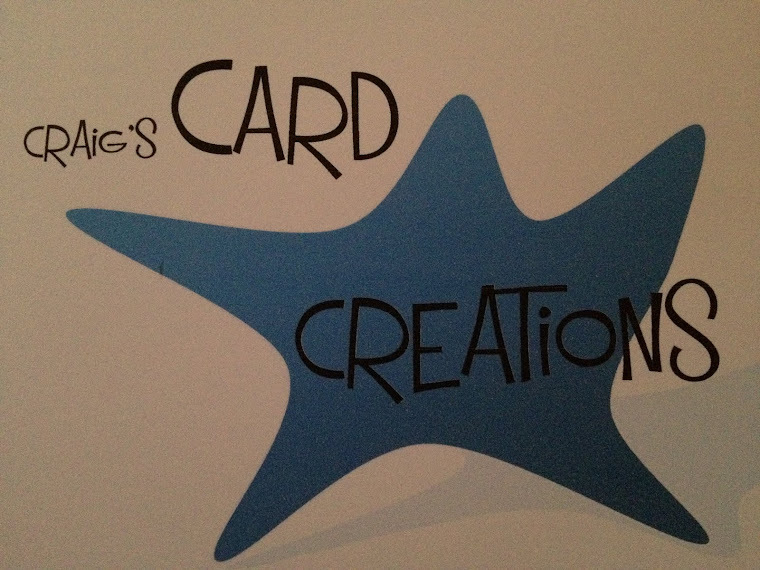 *please note, were possible I always gut my card stock to help keep the weight of the card down. 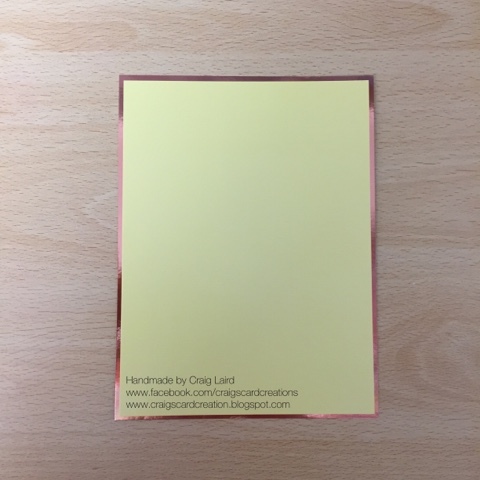 * To create an A4 card blank. 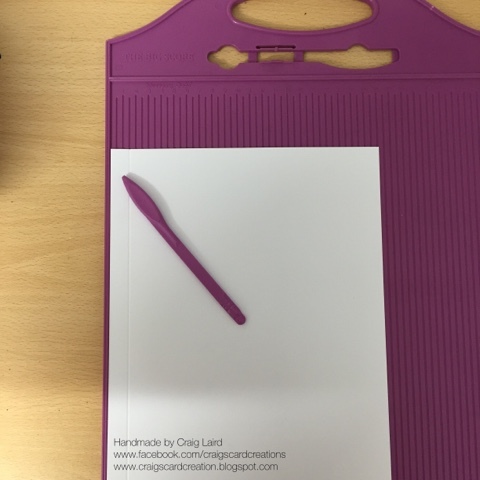 Place the back of 1 sheet of "Ink Me" card against the edge of the scoring board and core down at 1 1/2cm. 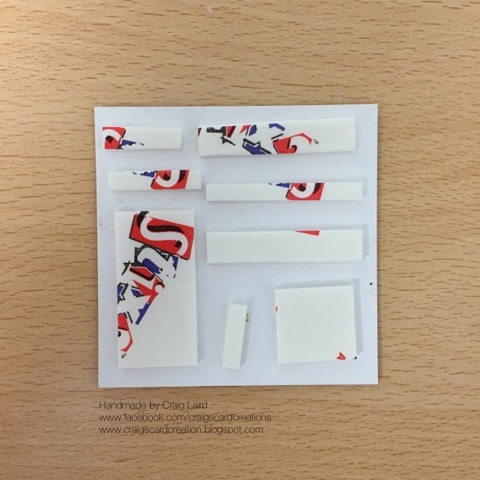 *Place a strip of Red ultra strong tape down the scored edge. 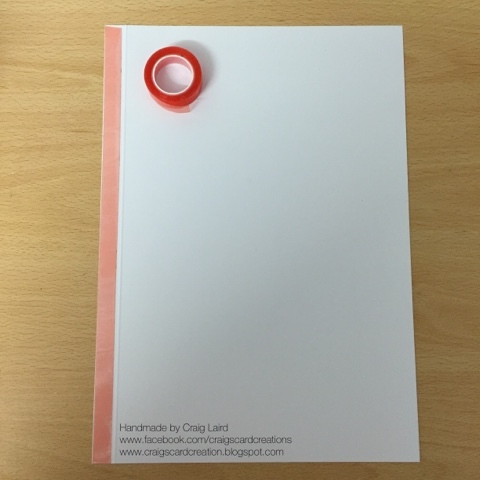 Peel the backing off and attach to the 2nd piece of "Ink Me" card and this creates your A4 card blank. 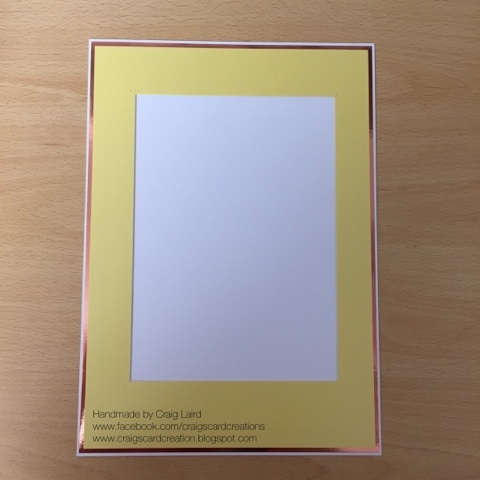 *Cut a piece of yellow adorable Scorable card stock to 20cm X 28 1/2cm and mat and layer onto a piece of copper coloured adorable Scorable measuring 21cm X 29 1/2cm and attach to your card base. 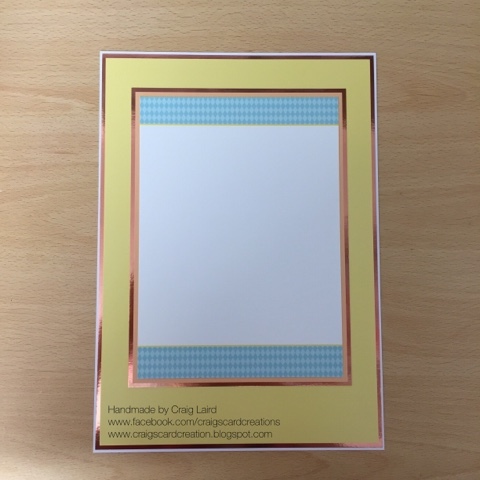 *Cut your coordinated background card to 15cm X 21cm and Matt onto a piece of peach A/S measuring 16cm X 22cm and then again, mat and layer onto a piece of Copper Mirri card measuring 17cm X 23cm. 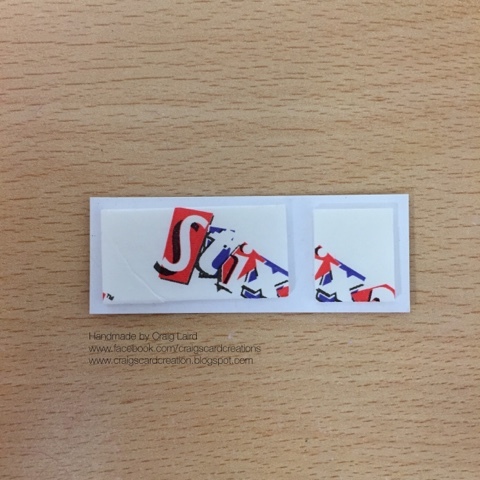 Attach to your card base using double sided tape. 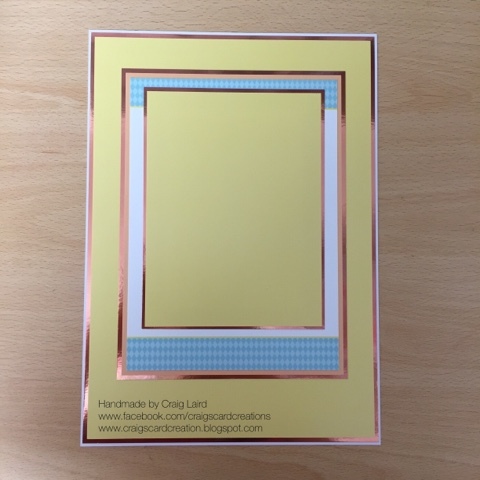 *Take a piece of Yellow A/S measuring 12 1/2cm X 17cm and mat and layer on to a piece of copper Mirri card measuring 13 1/2cm X 18cm. 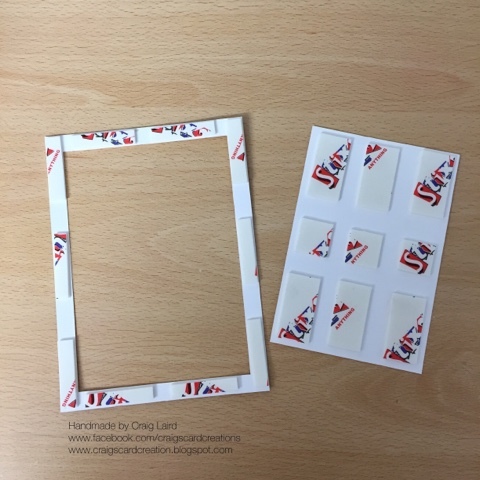 Place on top of your coordinated background card using double sided tape. 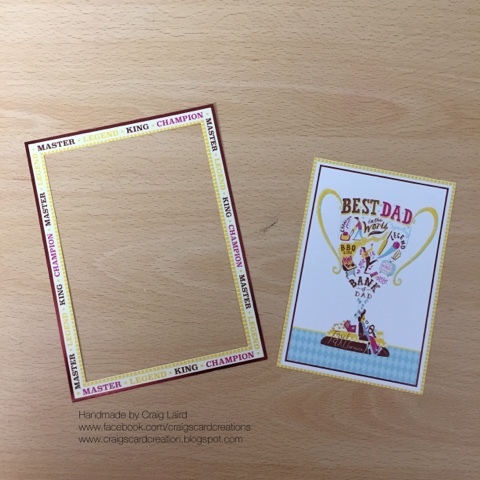 *Cut a piece of your foiled acetate to 12cm X 16 1/2cm and attach to your Yellow A/S card stock using Red Liner tape. 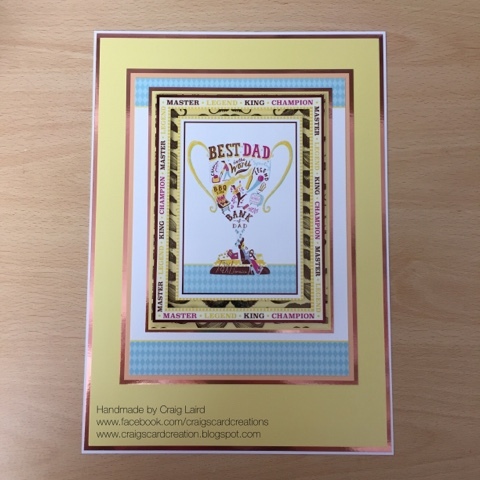 *Take your framed "Best Dad" topper and remove the centre frame and use on another card. 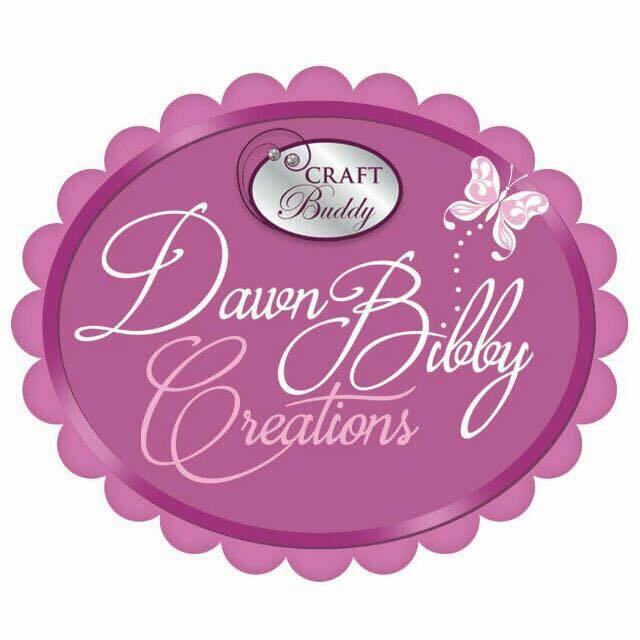 Place 3D foam pads on the back of each section and place on top of your foiled acetate. 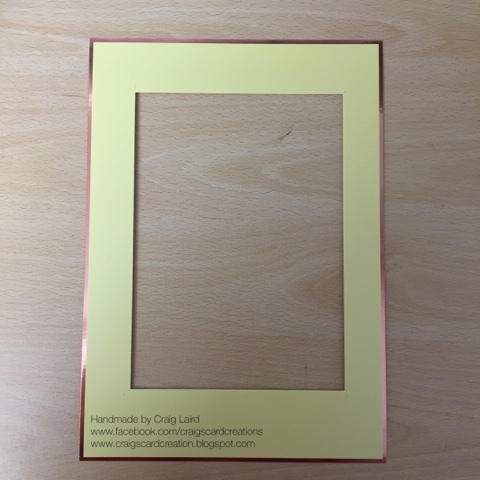 *Using one of the square toppers, mat and layer onto a piece of peach A/S measuring 6 1/2cm X 6 1/2 & again onto a piece copper Mirri card measuring 7 1/2cm X 7 1/2cm and place 3D foam pads on the back. 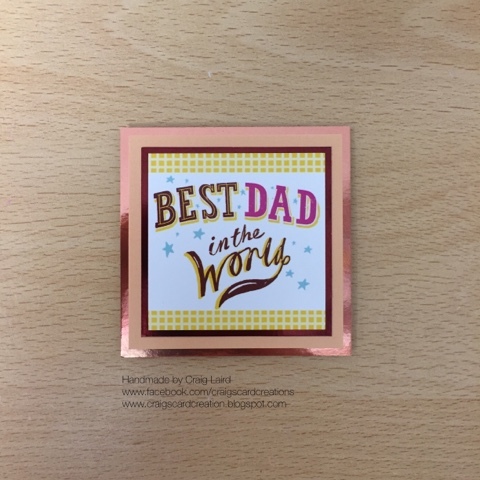 *Mat and layer "Happy Fathers Day" sentiment topper onto peach A/S measuring 2cm X 6cm and again onto Copper Mirri card measuring 3cm X 7cm and attach to the top of your card using 3D foam pads. 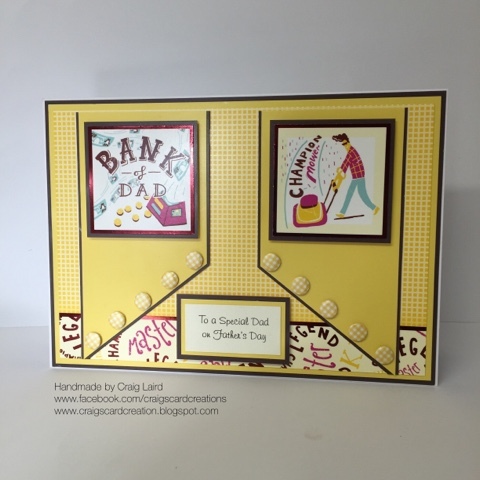 Attach the square topper to the bottom of your card. 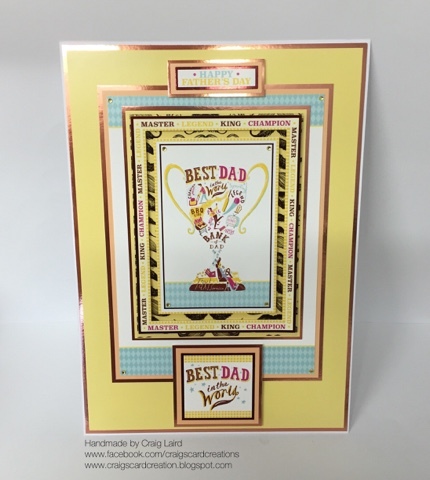 *Take some 3mm yellow rhinestones and place in the corner of your coordinated card stock and the corner of your "Best Dad" topper to finish off your card. 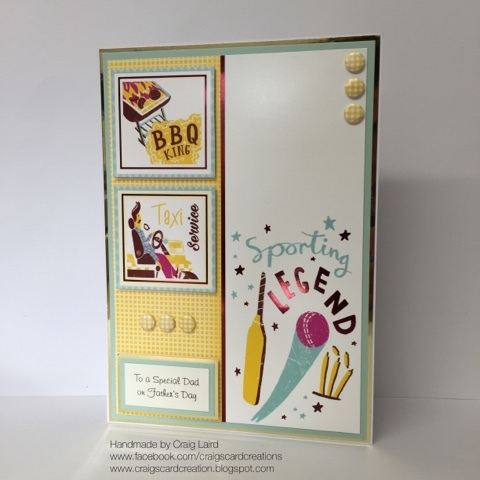 Here are 4 other A5 cards i have made using the remainder of the toppers and background card. 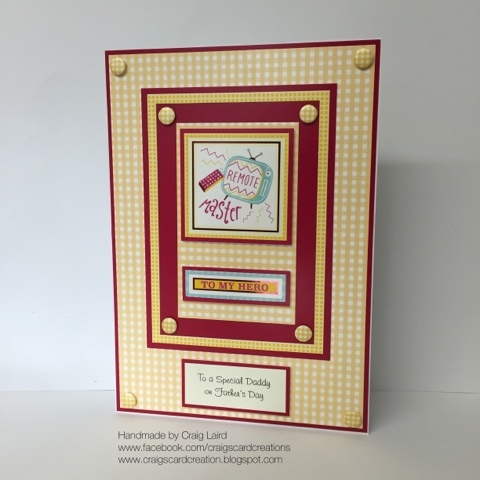 This last card has been made using Hunkydorys Gingham patterned card stock bundle.